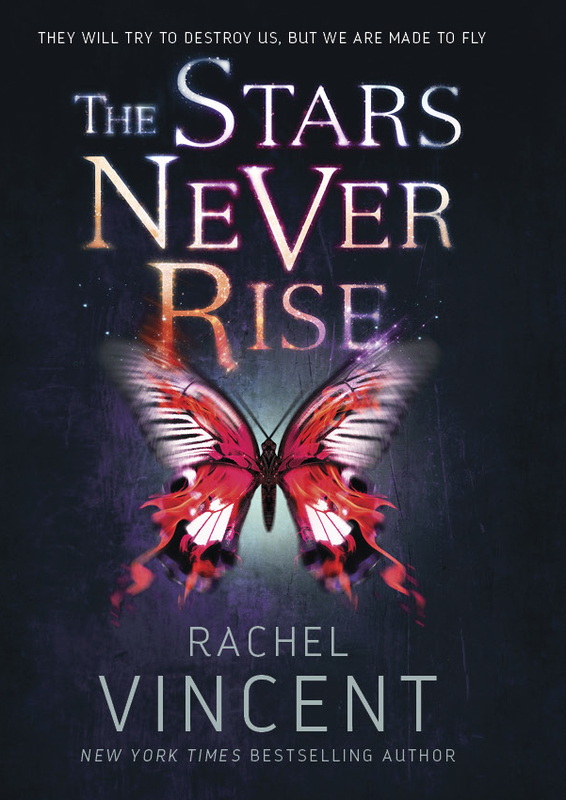 Rachel Vincent’s The Stars Never Rise has all the makings of a promising series. It a wholesome and entertaining read that is a refreshing blend of dystopia and urban fantasy with a little romance to sweeten the narrative. America has been ravaged by demons, possessing humans and reducing them to zombie-like creatures, paving the way for the Church to become the paramount governing body, obliterating the separation of church and state. With demon possession rampant, souls are in short supply. The Church has introduced a brutally strict regime dictating how one leads their life with a particular restriction on who can be a parent and thus be worthy of a soul for their new child. Sins are prosecutable crimes, enforced by the Church’s army of exorcists. But sixteen-year-old Nina Kane is too busy trying to actually survive to worry about her immortal soul. She has to watch over her rebellious younger sister, Mellie, and scrap together food and money to hide the fact that their mother is a deadbeat junkie so the Church does not get control of their lives…more so than usual. Just when Nina thinks she has found a way to end their daily struggles, Mellie reveals a shocking secret that puts them right in the centre of a demon attack. Suddenly, Nina is a fugitive, on the run from the Church…and the demons. Her only way out is to trust the green-eyed Finn and his rouge gang of exorcists. Vincent’s take on dystopian fiction, a Puritan United States of America, was refreshing, considering how easy it is to imagine a dystopian future as one overrun by machines, aliens or oppressive technological advancement rather than soul-consuming demons. I found it quite plausible, that people would resort to seek spiritual shelter in apocalyptic times and their religious leaders taking undue advantage of this. Further Vincent’s philosophy behind souls, demon-possession and exorcism is fascinating, particularly her wonderfully warped version of reincarnation. Nina was a very likeable character. Flawed, beaten, traumatised and way in over her head but unflinchingly fierce. Her supporting characters, the gang of rouge teen-exorcists, were equally entertaining. The various dynamics between them were interesting, humorous and heart warming. The narrative is a pulse-pounding ride, full of action, witty dialogue and well-placed twists/turns to make you gasp. It features one of the most uniquely interesting romantic sub-plots I have ever encountered and I am intrigued to see how Vincent develops this. Finally, I liked how the book concluded, in that it was not exactly a cliff-hanger but rather a promise of frighteningly new possibilities. It certainly made deeply invested in the sequel(s). While I did not fall madly in love with The Stars Never Rise, I was hard-pressed to find aspects of it that I did not like. Ultimately, I decided I was more invested in seeing how the seeds Vincent has sowed in this instalment will fructify in the sequel(s) rather than marvel their origins, thus explaining my less than ecstatic feeling for The Stars Never Rise. In conclusion, The Stars Never Rise is a thoroughly enjoyable read with the potential to become a great series. I eagerly await to resume this action-packed ride in 2016.